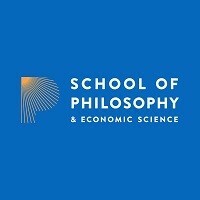 School of Philosophy & Economic Science delivers a 10-week introductory philosophy course across Ireland. The School’s practical philosophy courses are inspired by a universal philosophy which sees everyone and everything as the expression of the one consciousness. In Indian philosophy, it is called ‘Advaita’ which means ‘not-two’, or ‘one without a second’. It is also called ‘non – dual’ philosophy. There are many ideas and forces which tend to divide the world. The School considers how philosophy may strengthen the sense of unity between people, the sense of connectedness. This idea of unity appears in many of the texts and quotations they read and discuss in class together; these are teachings from a wide range of philosophers, thinkers, poets and writers such as Plato and Shakespeare, Marsilio Ficino, Yeats, Lao Tzu. This is a golden thread running through the great philosophies of the world, eastern and western. The School seeks to discover what unites people.